>> VWORKER and freelance experiance. >> A burrow full of rabbits – a book written and drawn for kids is available on the Kindle. >> Spawn, a Flash game developed whilst at university. >> Freelance work at Kinetika. 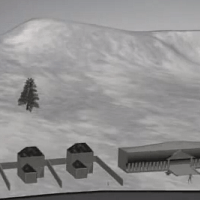 >> Some early 3DSMax work. 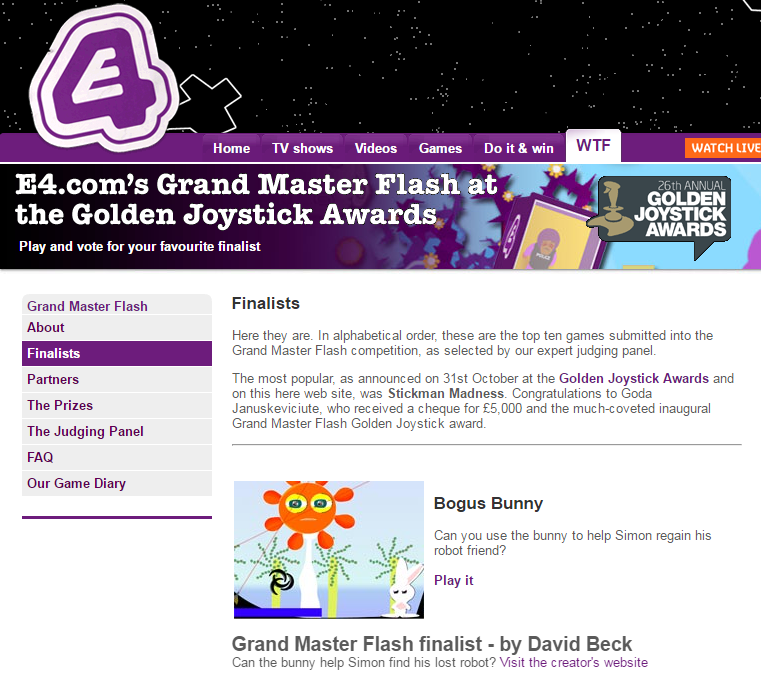 >> Bogus Bunny; a game I developed was nominated for an ‘E4 Grand Master Flash’ Golden Joystick award at BAFTA. Social Media Consultant at iSat Ltd in Farnborough. Marketing & Sales department: Consulted & implemented online marketing strategy, website developer, designed written & artistic marketing material, prioritized workloads, managed confidential data/contacts, innovative problem solver, researcher, Web/social developer, Created schematics and assembly guides, generated leads, created merchandising & purchased office work. 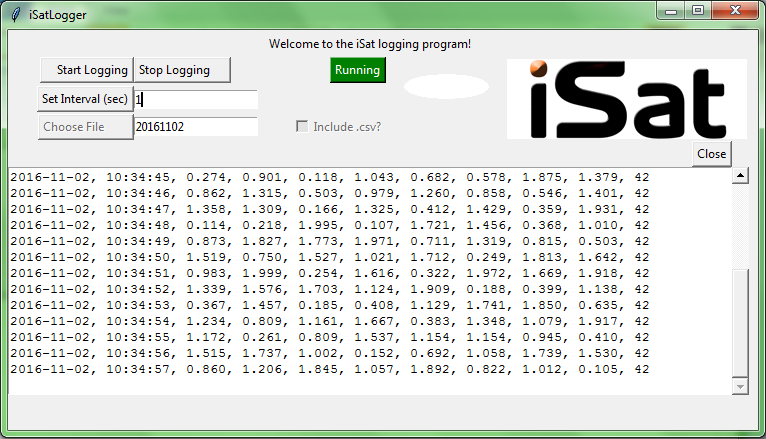 Above: iSat satellite feed adjustment program GUI written with Python Tkinter. 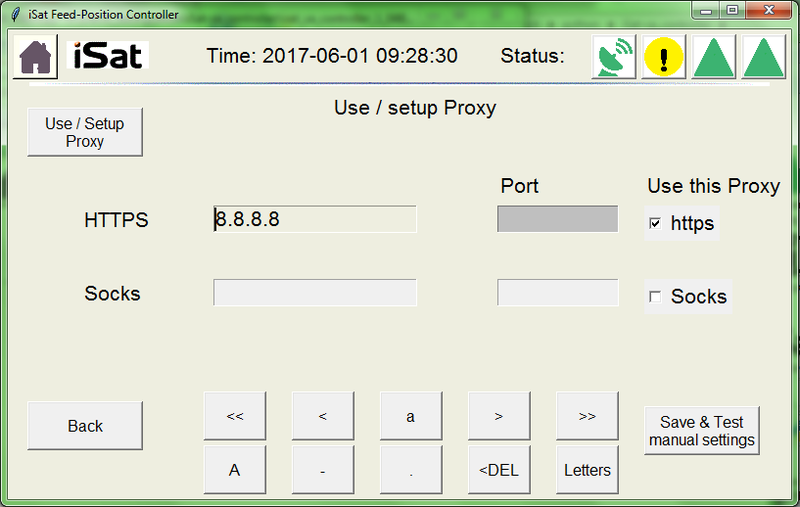 At the start of a new minute, the program records coordinates, prints and exports them into a new or existing CSV (Excel) file. The second full program was iSat’s satellite feed adjustment program. I was part of a small team, and I focused mostly on UI development. 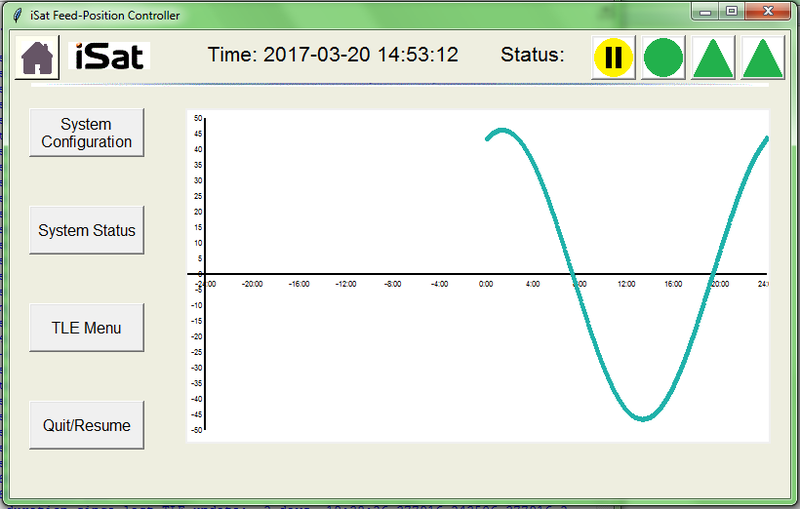 Read More about this Python project. 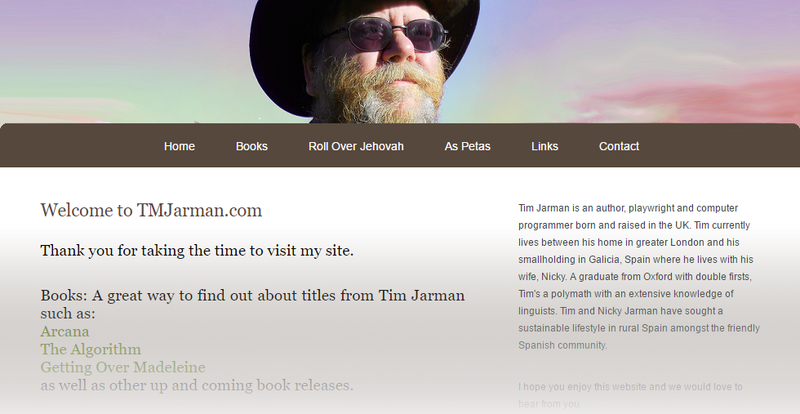 Developed www.tmjarman.com(now depreciated) and created a book cover for “The Algorithm”. Designed the book cover for ‘The Algorithm’ by Tim Jarman. Freelance virtual worker at vWorker, Blue Arrow, Powerstax & Self employed. I undertook a series of freelance projects including: Flash based, Image creation, Video editing, Web Development, Game Development, Social Media, Copy, Marketing. Writer and artist on ‘A Burrow Full Of Rabbits, Creative Bedtime Stories’ available on Amazon for digital download. A Burrow Full of Rabbits is a creative bedtime story for children and adults alike. Written using the ancient mystical poetic form know as Haiku this short, well illustrated book tells the story of brother and sister rabbit who talk about what it would be like to be a cat. Also features a short introduction to Haiku for adults and all about rabbits for children. Lead a small team of Game Culture and Sonic Media students to create Spawn. A fun, challenging Flash based platform game. Our hero, a young and daring frog named Spawn has to overcome five levels and a dangerous final boss to save his family from the slag mafia lead by the oversized slug King Plato. 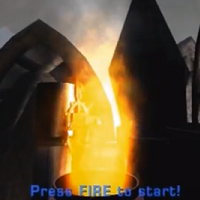 The game featured pre-rendered 3D effects, scenes, and background, a beautiful Soundscape that enhances the immersive environment. Spawn wasn’t just game; it was a state of mind and a calm place the player could visit whenever they wanted. A demo reel for Spawn can be seen here. Developed 10 Flash games and apps as part of an ARG for Kinetika 2010. As part of a small team I developed 10 Flash based games and applications for the ImagiNation ARG Project and took hundreds of photographs of the Royal Botanic Gardens, Kew, as well as other content. Technology’s included XML integration in Flash and Facebook connectivity. Projects sponsored by London 2012. 3D Map/Game: Created a large 3D map in Unreal. A video created for the project can be seen here. I created the music using Logic Pro. Sole developer and programmer on ‘Bogus Bunny’. Bogus Bunny was a finalist in the E4 Golden Joystick Awards (2009).